Lessons from history: the effect on Microsoft’s culture of the US antitrust verdict. Who’s next? 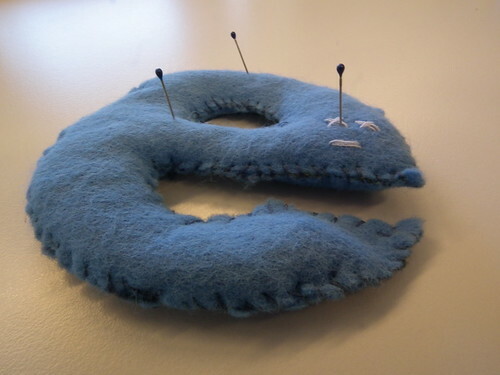 Internet Explorer: a voodoo doll, but for who? Photo by Verpletterend on Flickr. I’m publishing this as a reference for anyone who wants to know how US antitrust law works (note particularly the point about “harm to consumers”), and what happens to companies that fall foul of it. Note that in Europe, the EC’s antitrust rules don’t require it to show harm to consumers – only that competition has been stifled. Obviously, it’s interesting to consider the cultural changes that are described by the Microsoft observers both inside and outside the company to the antitrust ruling, and wonder whether there are any parallels for Google – currently facing a Statement of Objections from the EC over its Shopping service, and an investigation to see whether its licensing for use of the Android mobile operating system is anti-competitive. By the time Ballmer took charge [as chief executive of Microsoft, replacing Bill Gates, on 13 January 2000], the antitrust trial [against the Department of Justice] was over; the judge’s Findings of Fact had been delivered. They were damning: Microsoft had abused its monopoly in Windows to extend them to other areas. That was illegal. But no sentence had been delivered. The trial, and especially the testimony and press coverage, had an enormous effect on the internal culture of Microsoft. The staff didn’t stop thinking they were the best programmers in the world. But quite suddenly they couldn’t attract the rest of the best programmers in the world. Partly that was because as the antitrust trial ground on through 1998 and 1999 the dot-com boom took off, promising enormous riches to smart coders who hitched a ride with the right company. Get your stock options cheaply, and when the business IPOs you’ll be rich, just like those lucky guys at Netscape and Yahoo. But there was also the feeling that to work for Microsoft was to compromise your ethics. Inside Microsoft, there was soul-searching. An early example had come at the 1999 annual executive retreat, where Gates and Ballmer wanted to talk over the finances of the company, examine its performance and chart the next product lines – the “roadmap”. The antitrust trial’s “Findings of Fact” – the judge’s established truth about the company – hadn’t yet been published. But Microsoft had been hauled over the coals in court; Bill Gates in particular had been made to look evasive and arrogant in his videoed deposition with the prosecution’s Robert Boies. The court’s Findings of Fact said Microsoft held a monopoly of PC operating systems; it could artificially set licence prices, safe in the knowledge that barely anyone would decline. Judge Penfield Jackson pointed to an internal Microsoft study, provided in evidence, which determined that charging $49 for the Windows 98 upgrade would earn a reasonable return on investment, but that charging $89 would maximise revenue, hitting the sweet spot of the demand curve beyond which too many would-be buyers would stick with what they had. Only a monopoly would have that pricing power. Being a monopoly (generally defined as having 80% or more of a market) is not illegal in the US; nor does it necessarily attract sanctions. But using a monopoly in one field to extend or create one in another field is, and does, if it can be shown to have harmed consumers in either or both markets. By going after the Netscape browser, which had begun to set itself up as a platform of sorts (albeit one which almost always ran on Windows), and using its control of Windows first to deny Netscape access to some APIs it needed for Windows 95, and then to boost its own Internet Explorer by insisting on its inclusion – at the threat to OEM PC makers of not getting Windows licences, which would kill their businesses – Microsoft crossed the line. Internet Explorer was the focus of the trial, though: the number of Microsoft staff working on it had grown from a handful in early 1995 to more than a thousand in 1999. And Microsoft gave it away because reaching an effective monopoly share (50% of the browser market would be good; 80% and up ideal) was the target. Penfield Jackson completed the necessary trio needed for an antitrust conviction by pointing to harm not only for the companies affected, but also for consumers: tying Internet Explorer into Windows “made it easier for malicious viruses that penetrate the system via Internet Explorer to infect non-browsing parts of the system”. The stock market wasn’t worried by the Findings of Fact; in the month after their publication, Microsoft’s stock value actually jumped, and it reached its all-time peak market capitalisation, $612.5bn, on the last working day of December 1999. The rest of the market for technology stocks rose too – though one analysis suggested that this was because Jackson (a pro-business Republican) had cleared the way for other companies to begin competing effectively. Then in April 2000, with Ballmer four months into his new job, Jackson handed down his sentence: Microsoft should be split into two – one company making operating systems, one making applications. “It had a big impact, and even a decade later it was still having an impact,” says Mary Jo Foley, a journalist who has followed Microsoft for years. “When they think about adding new features to different products or how they make sure their products work together, I think in the back of their minds is always this lingering kind of thought or checklist, like: ‘if we do that, are we going to get sued by so and so for antitrust?’ ‘Are we going to get sued by so?’ And so or so and so.” When any feature was being thought about, that question kept coming up: will it break the antitrust ruling? “I think it has almost had a chilling effect on the way they do product development,” Foley suggests. With Microsoft suitably admonished, and now living under a new regime of oversight, the scene was set for Microsoft’s next challenges: in search, digital music and in mobile phones. First was a little startup that was already becoming the talk of internet users, one which was to form its corporate thinking around a motto that tried to express a desire not to be Microsoft: “don’t be evil”. If you found this useful, you might like the book. It’s longer. Links above. This entry was posted in writing and tagged antitrust, google, microsoft by charlesarthur. Bookmark the permalink.